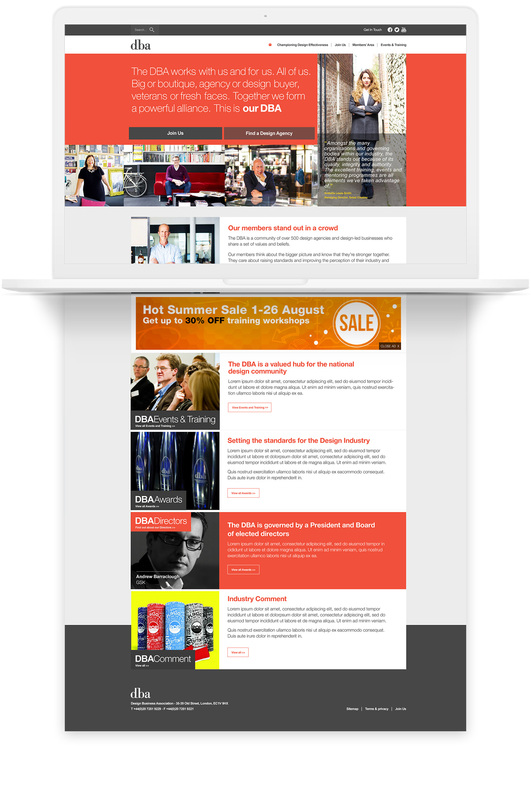 To design and build a new website that would be a fitting representation of the Design Business Association. 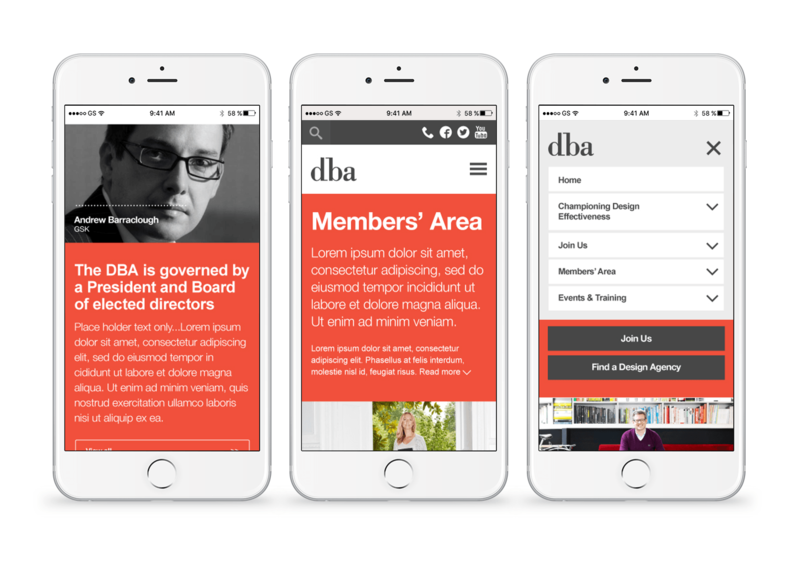 We started with a workshop with the DBA to build on their thoughts for a more streamlined visitor experience. 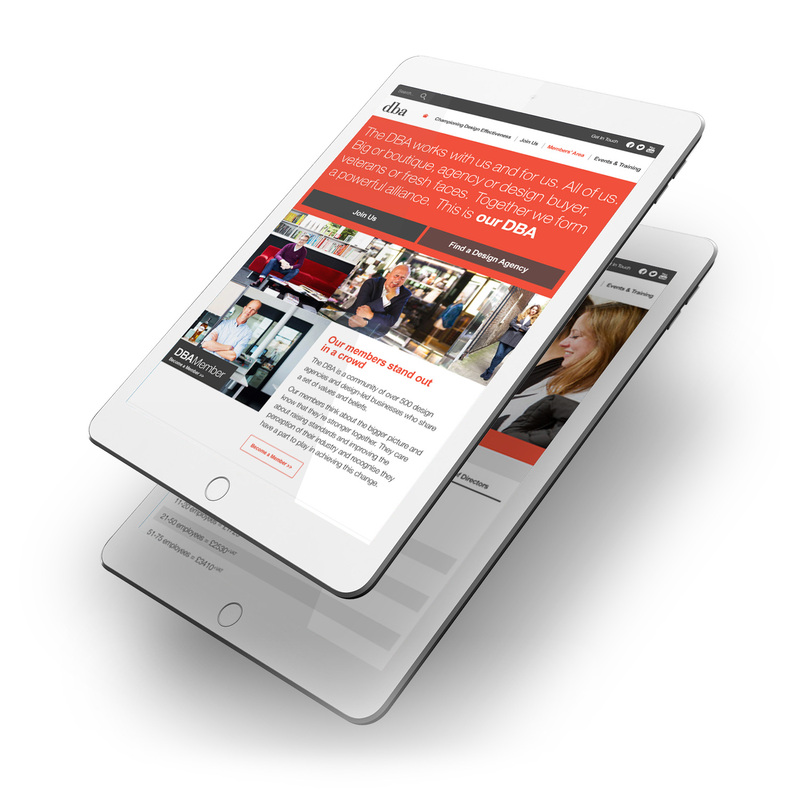 Their existing site contained a wealth of information that had grown over the years – we wanted to keep it, make it more accessible for visitors and ensure that all resources were easy to find. This drove the front end look and we created a clean and clear design within the DBA guidelines, implementing different levels of search to help people pinpoint what they were looking for. One of our biggest design challenges was how to manage the migration of the existing website content in a way that was easy and manageable for the DBA content team to maintain. We created an admin area that was simple to use with just enough features to deal with the variable types of content, but not too many to ensure consistency and type hierarchy could easily be applied.